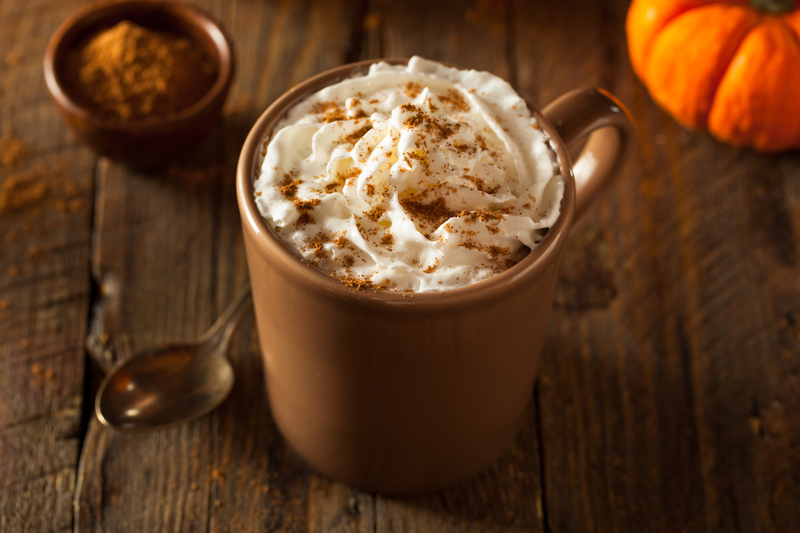 If you love pumpkin spice lattes, this is probably your favorite time of year. That’s right — Starbucks has officially rolled out its signature fall drink, which means PSL season is officially upon us. While “skipping the Starbucks” is often touted as a way to save money, you can still enjoy this fall flavor without blowing your budget. Here’s how to save money on pumpkin spice lattes all autumn long. Join Starbucks Rewards to start getting free drinks — including PSLs. Starting out at the green level, you’ll earn two stars for every $1 spent and automatically receive free in-store refills on brewed coffee and tea. If you earn 300 stars in 12 months, you’ll reach gold level, which will earn you additional benefits — including monthly double-star days on purchases and a free beverage or food item for every 125 stars you earn. That means you’ll earn one free item after every $62.50 you spend — or about 26 venti coffees. While that may seem like a good chunk of change to spend to get a reward, remember that it’s pretty easy to rack up a bill at Starbucks without even realizing it. That extra shot of espresso, added flavor and morning bagel all come at a cost. Thankfully, the rewards program provides a bit of relief — the more stars you earn, the more perks you get. And if you just can’t quit Starbucks, these Starbucks hacks can save you money on your habit. Use Raise, Gift Card Granny and other discounted gift card sites to stretch your coffee dollars further. Just buy a gift card for less than its face value, and you’ll get more for your money at Starbucks. As of this writing, you can save as much as 13% by buying a gift card on one of these sites, but keep an eye out for bigger discounts. Starbucks isn’t the only chain offering up a pumpkin spice latte. Panera Bread stores offer a similar concoction each fall. To save on its version of the PSL, join the My Panera program for discounts and freebies. If you’re a member of Starbucks Rewards, you’ll enjoy a free drink on your birthday. Why not make it a pumpkin spice latte? Dunkin Donuts also offers free birthday drinks through its DD Perks Rewards program and has an extensive pumpkin spice menu. Many other cafes also offer free birthday drinks, so if you find yourself at a coffee shop with pumpkiny concoctions on your birthday, be sure to ask! Indulge in a pumpkin spice latte any time you like with this great do-it-yourself recipe from Farmgirl Gourmet. This recipe makes two 10-ounce lattes, so you can even share one with a friend. Stir the milk, pumpkin puree, sugar, vanilla and pumpkin pie spice together in a pan over medium-high heat. Bring it almost to a boil, but avoid boiling (that will make it too thick). Stir constantly, and it should start to froth in about a minute. Pour the concoction into two mugs, then slowly add the strong coffee or espresso, pouring it in by the edge of the cup so that the milk stays frothy. Add whipped cream and a dash of pumpkin pie spice on top, and indulge in your homemade creation. This simple recipe from Delish requires just five ingredients and produces 1 3/4 cups of pumpkin spice creamer to add to your coffee. Whisk together the heavy cream or half-and-half, pumpkin puree, maple syrup and pumpkin pie spice in a small pan over medium heat. Add a cinnamon stick or two and turn the heat up a bit until it boils, whisking occasionally. After a minute, take it off the heat and let it cool for about five minutes before you add it to your coffee. According to Delish, the leftover creamer will keep in your refrigerator for a week, but be sure to give it a good shake before using. And if you’re standing in line for your first PSL right now, take a few minutes to check out the drink’s Twitter account.